In Episode 13, Billy encounters Pops and his new bride in 1949. They dance to the music of Guy Lombardo and the Royal Canadians. Guy Lombardo was Canada’s most famous bandleader. He and his siblings had an orchestra that was popular for almost 50 years, from the 1920s until his death in 1977. You can find out more about Guy Lombardo on wikipedia. Here is a sampler of their music from the 1960s. 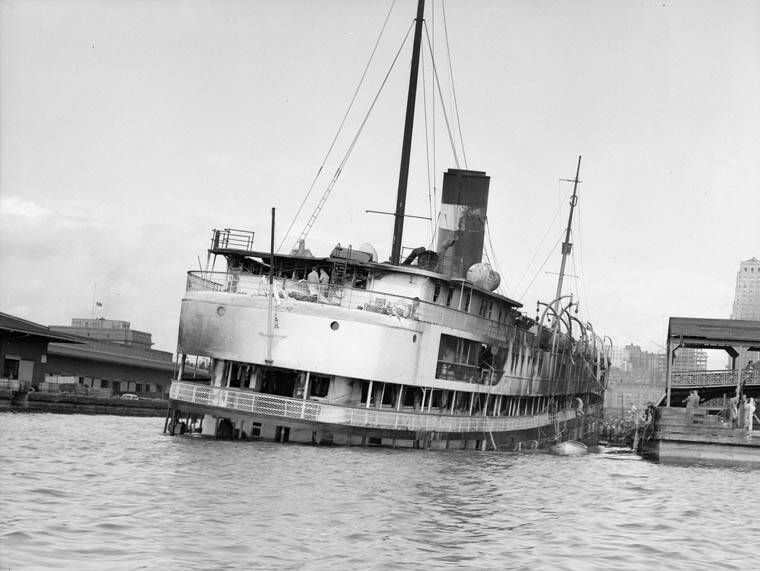 The SS Noronic was great lakes cruise ship that burned and sank in Toronto Harbour on September 4, 1949. 139 people died in the fire and its aftermath. It was one of the greatest marine disasters in the world. In life, as in the story, the remains of the Noronic victims were taken to a makeshift morgue on the CNE grounds.